Jamaica is my happy place. From the moment I step off the plane and feel the humidity swell my hair, I feel like I’ve returned home. It’s the escape from the constant gaze that one feels as a person of color in America that I most appreciate when I’m there. The laughs and knowing looks I’m able to exchange with island residents when white tourists are acting a fool feel like I’m in on an inside joke about how “those” people act. It’s the place where I most feel like me. But I’m not ignorant to the financial constraints of the service workers in the tourism industry. When I see the entertainment staff working hard to get a laugh out of a stiff tourist, I’m well aware that while they could care less about said tourist, they do care about the tip that could come from engaging them, or the promotion they could earn. 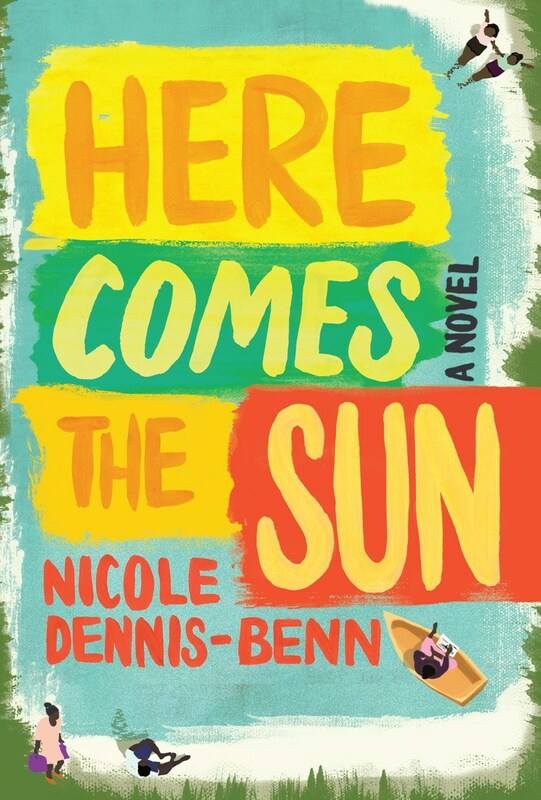 In the debut novel from Nicole Dennis-Benn, she tackles the private lives of such workers. Margot is a hustler; always has been, always will be. But she’s hustling for a reason; to send her younger sister, Thandi, to school. No one works longer hours at the hotel than Margot, serving and servicing clients both day and night. It will all be worth it to see Thandi fulfill her dream of going to university. But is that Thandi's dream or just Margot's dream for her? Margot is Delores’ throwaway child. Early on, she tossed Margot aside and turned a blind eye to the men that preyed on her young daughter. Delores has lived a hard life and blamed most of it on Margot. Things will be different for Thandi though. Delores and Margot don’t agree on much, but they agree that life will be better for Thandi than it was for them, a seller of trinkets and a high class call girl. For Thandi it’s not enough to be smart, she wants to be admired by her classmates and noticed by boys. And because colorism is real, she believes that lightening her skin will bring both friends and boyfriends. She would trade all of the smarts in the world for adoration. Verdene Moore is an islander that left for London and returned when her mother died. While she was out in England, she is shunned back on the island. Her neighbors torture her by leaving dead animals in her yard. Her only friend is the girl who adored her years ago when she was a teenager, and is now her lover. I loved Here Comes the Sun. 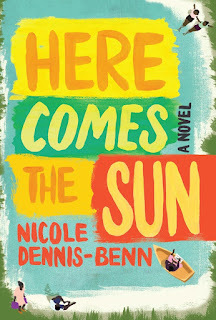 Dennis-Benn tackles a number of subjects that tend to get swept under the rug: the shunning of the LGBT community in Jamaica; skin bleaching; the long term effects of sexual abuse; the economic disparity between those working in the tourism industry, and returning home to shacks, and the guests that stay at those resorts, as well as the disparities between those that own the resorts. As hardened as Margot is and as difficult as Delores is to like, readers will likely find themselves rooting for each of them to succeed, if only because it means that Thandi might succeed where they have failed.